The Africa Cup of Nations is in full swing in South Africa and here the Ivory Coast has to be in and among the absolute favourites. 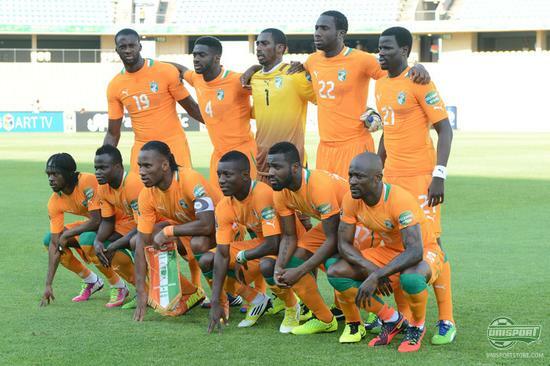 The orange clad army last year made it to the final, but saw their dreams shattered by Zambia. Puma have caught up with two of the Ivory Coasts biggest profiles, Yaya Toure and Emmanuel Eboue, to hear about their expectations for this years tournament. The Ivory Coast have a final defeat to avenge in this years Africa Cup of Nations and The Elephants look to have a good chance of doing so, with all the right predispositions in order. Again this year they can field an incredibly strong team, that combines sublime individual players with strong team players. This has created a great balance in the team, which has materialised in equally great results on the pitch. When the players leave the serious business of playing football, it is all happy days in the training camp, as illustrated, when Puma went behind the scenes with some of the stars. There's a certain calmness in and around the Ivory Coast players, that themselves are not shy to call their team mates family. Puma also got to talk to a couple of the players alone and how that went, can be seen down below. One of the players that Puma had the privilege of talking to, was Yaya Toure from Manchester City. There was much doubt, whether or not he would compete in this years competition, but the gifted midfielder is here and is busy terrorising and harassing everything in the middle of the park. You can, in the video above, hear how he fancies the teams chances this year, how he feels about last years result and much more. Emmanuel Eboue also set aside some of his busy schedule for an interview and the always happy defender got to access who the funniest man in the squad is, who the best and worst dancers are. A funny and informal talk, that is sure to bring a smile to your lips. So far it's smooth sailing for the Ivory Coast at this years Africa Cup of Nations, but as both Eboue and Toure said it: Anything can happen in football. Do you think, that they can go all the way? Who else would win it this year? Share your thoughts in the comment section down below.